Conditions soil without affecting pH. Clay soils can be very slow to warm up in Spring and very slow to drain, plus also very difficult to dig over and therefore not ideal for gardening! Clay Breaker can be used to improve the texture and make the best of a clay soil. 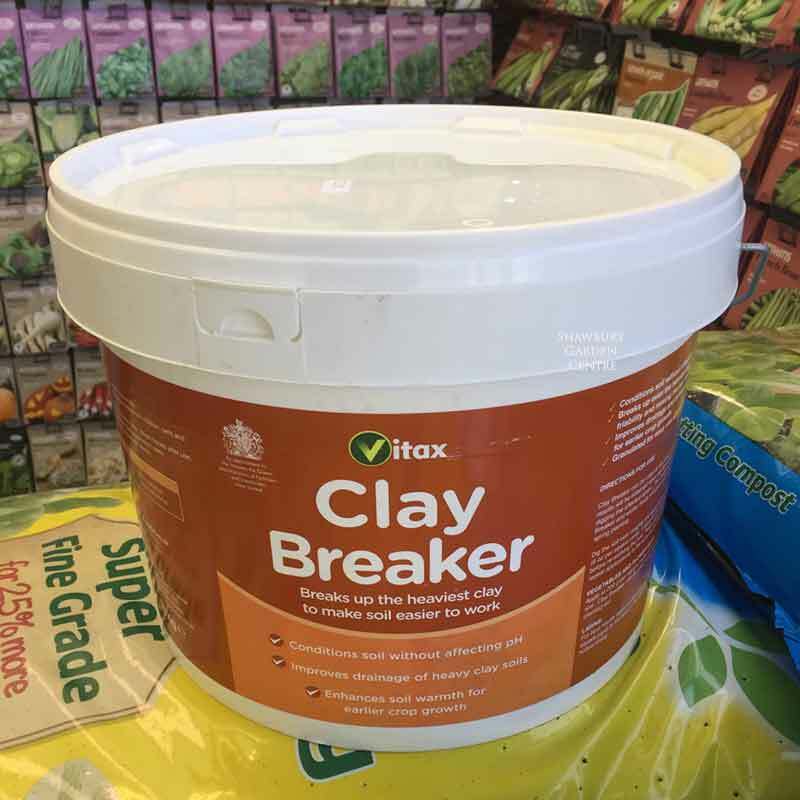 If you would like further information about Vitax Clay Breaker, please contact our garden centre at Shawbury just outside Shrewsbury in Shropshire, by calling 01939 251315 or emailing.